Carolyn Eatherly and Linda Horton were like sisters. Eatherly, an only child who never married, lived with Horton for 20 years. But when Eatherly was diagnosed with Alzheimer's a decade ago, she had to move into a nursing home. She ended up in one in the town of Hollywood, Florida, about 20 miles north of Miami. For a year, Horton called Eatherly every week. Horton once visited the Rehabilitation Center at Hollywood Hills, but that seemed to aggravate Eatherly, who was wracked by dementia. "She got agitated. They had to sedate her," said Horton, 65. "After I left, she tried to escape." Horton said she had "to do a tough love thing" — refrain from visiting and leave Eatherly in the hands of the medical professionals at the nursing home. "I thought it was OK," Horton said Thursday morning, referring to the facility. "But apparently it wasn't." Eatherly, 78, was one of eight elderly people who were found dead Wednesday after Hurricane Irma left the nursing home without air conditioning. Hollywood police have opened a criminal investigation into what Sen. Bill Nelson, D-Florida, called "an emerging scandal of gargantuan proportions." Carolyn Eatherly, left, and Linda Horton, in a photo provided to NBC News by Horton. Florida Gov. Rick Scott said the situation was "unfathomable," and he promised to "aggressively demand answers on how this tragic event took place." Relatives and friends of those who died were just as desperate for clarity. Nova hadn't spoken to his ex-wife in about 10 years, but he knew she was living in a nursing home. 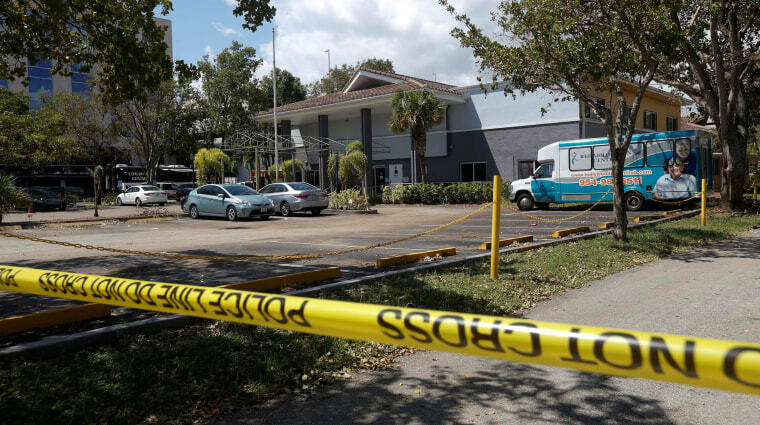 The Broward County medical examiner identified the six other people who died as: Miguel Antonio Franco, 92; Estella Hendricks, 71; Betty Hibbard, 84; Manuel Mario Medieta, 96; Bobby Owens, 84; and Albertina Vega, 99. More than 140 people were evacuated from the facility, some with temperatures of 106 degrees, according to state Sen. Gary Farmer, citing sources close to the investigation. Federal and state regulations require that room temperatures in nursing homes be 71 to 81 degrees. Jorge Carballo, the nursing home's administrator, said in a statement that the facility and its staff had "diligently prepared for the impact of Hurricane Irma" and were fully cooperating with authorities. Carballo said the nursing home had a working generator and never completely lost power. But he said that a transformer powering the site's air conditioning "went down" and that management immediately contacted Florida Power & Light, the local electric utility, along with emergency officials. The utility said in a statement Wednesday that it was limited in what it could reveal because of the investigations. But it said that "other critical facilities" — notably hospitals and 911 centers — were identified as higher priorities and that the nursing home was close to a hospital that did have power. Raelin Storey, a spokeswoman for the city government, told reporters Wednesday that fire rescue crews had responded to the facility 127 times over the last 12 months, a rate she called "far above average for what we would expect for this kind of facility." Medicare records show that the nursing home, owned by Larkin Health Systems Inc., was fined $5,500 in February 2016 for unspecified violations. In its most recent review, the federal Centers for Medicare and Medicaid Services, which regulates nursing homes, gave the facility a "below-average" overall rating of two stars out of five. Its health inspection was rated one star, or "much below average." Last year, inspectors discovered some alarming conditions inside the facility. At least one resident had scratched skin off his arms with untrimmed, "jagged" and blackened fingernails, according to a report. Another resident was found in her nightgown in a dark room, staring at a television that wasn't turned on. A report last year specifically cited the facility for not having maintained its emergency backup generator to manufacturer and code requirements. Horton, Eatherly's friend, said that she never suspected that the facility had health or safety issues but that she was second-guessing herself after the deaths. "It's kind of unreal, like a bad dream or something," she said. "I wish I had investigated this place more, especially after a few years went by, just to check on her and make sure things were OK."
It seemed clear to Kenny Nova, meanwhile, that "someone dropped the ball." "There shouldn't be eight people dead," he said. "That, to me, is just sacrilege." 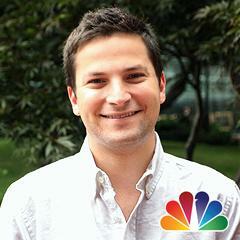 Alex Johnson, Elizabeth Chuck, Polly DeFrank and Gabe Gutierrez contributed.